drivingandlife: CARRERA WITH CHARACTER - PORSCHE PERFECT! Okay, here's the business end of the Porsche 911 Carrera S for 2016, codenamed 991.2. 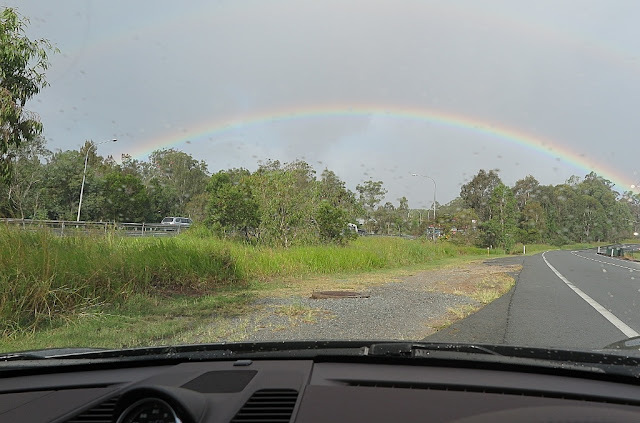 Setting off for a spin in the country, there's rainbow above us. First, let me say that the simple and authentic sports car experience in the Madza MX5 completely won me over. Then I fell in love with the BMW m330i for its smoothness and driving delight. 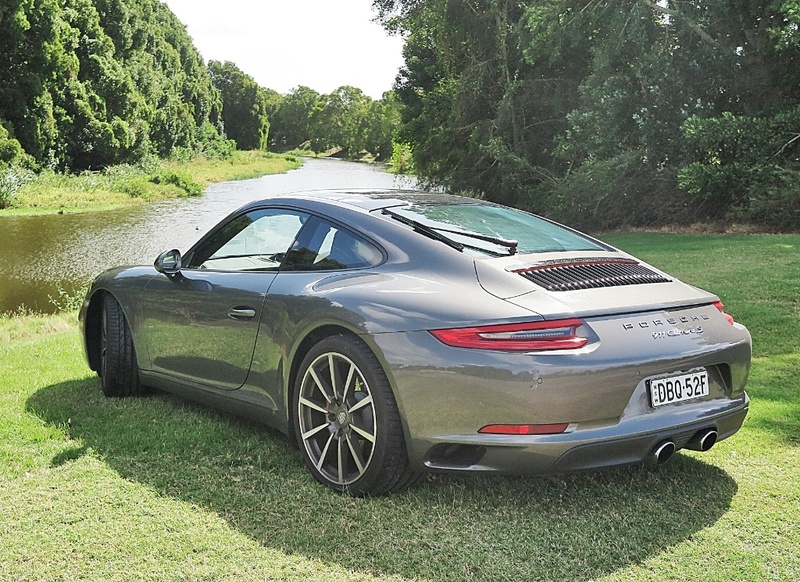 However, that sound you hear is me crying, because I had to return the Porsche 911 Carrera S.
At home at high speed, or just tootling round town, the twin-turbo flat six delivers whatever you ask from it. At least I'm told there's an engine back there! 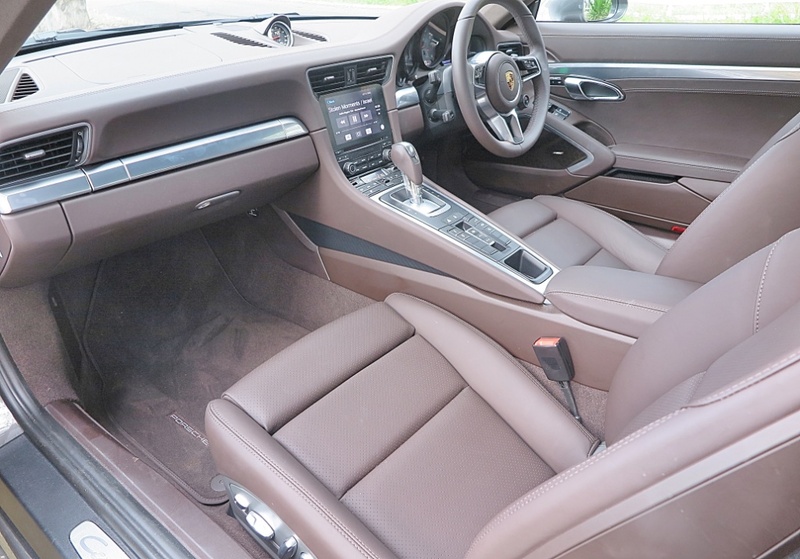 This is truly upmarket sports car driving, and if it sounds like I'm gushing, you're right. I LOVE this car. 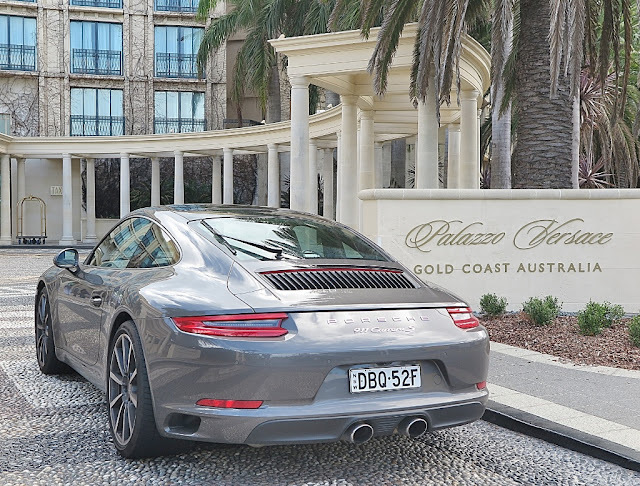 It may have taken me 40 years to drive another Porsche, but this one was worth the wait. I literally got a tingle of pleasure all the while I was behind the wheel, and I really loved the 'programmed throttle-blip' when you're downshifting manually. Nice touch. 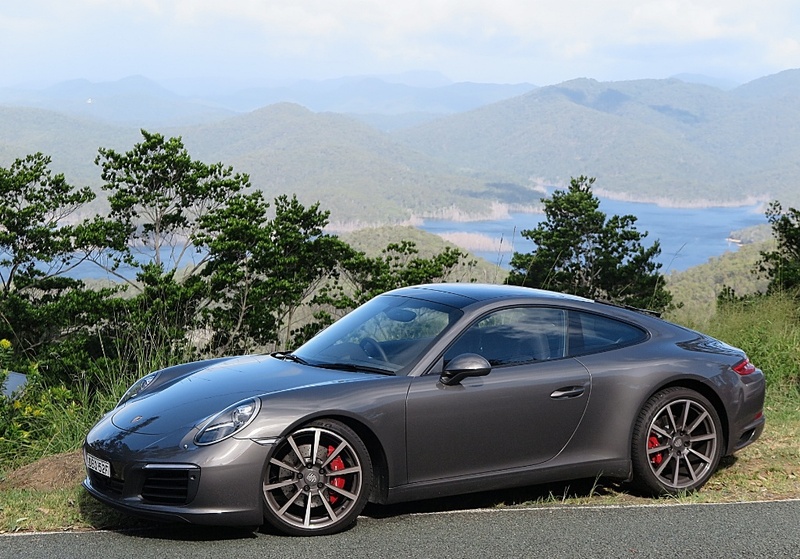 In the semi-alpine region we live in, known as the Gold Coast Hinterland, we enjoy a great selection of mountain roads, with tight switchbacks, long flowing curves and some beautiful long straights, where the 911 Carrera S really sings. 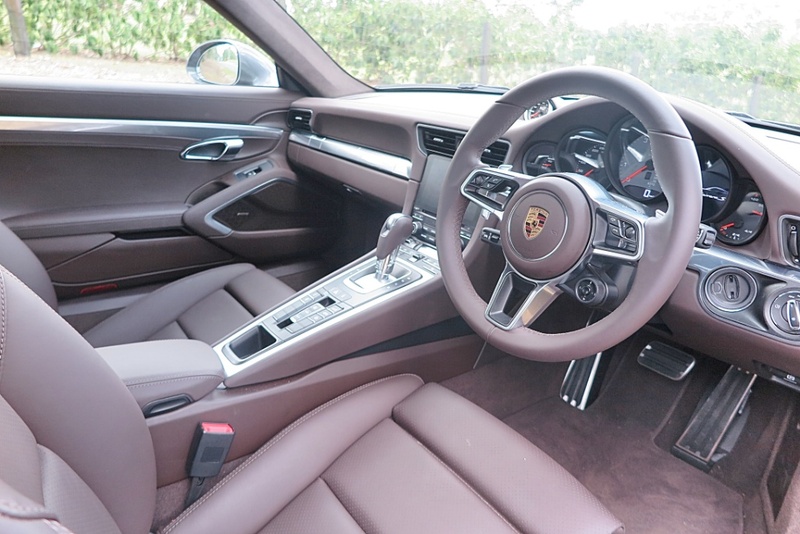 In the cockpit I was immediately dazzled by the quiet sophistication and elegance of the Porsche Design interior treatment. 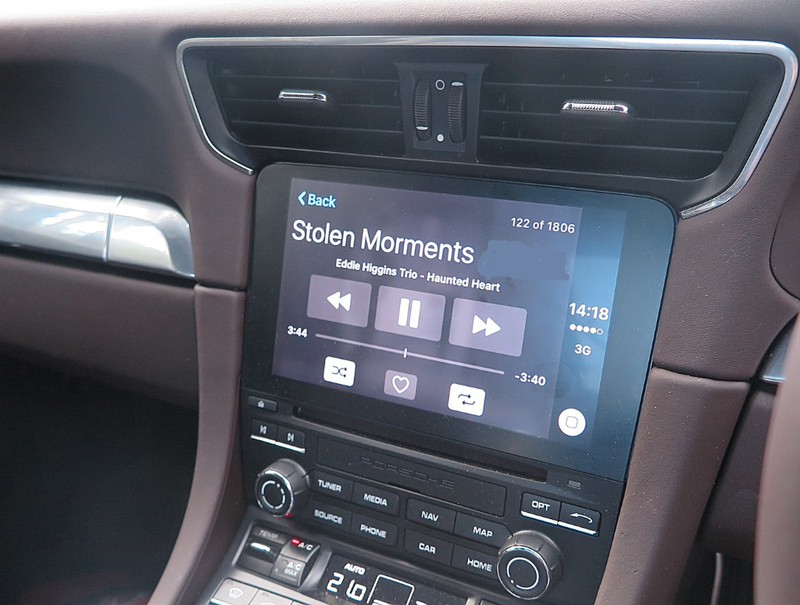 The new 7 inch touchscreen and associated controls are superbly intuitive and well laid out - thus, easy to use. These were definately 'stolen moments'. 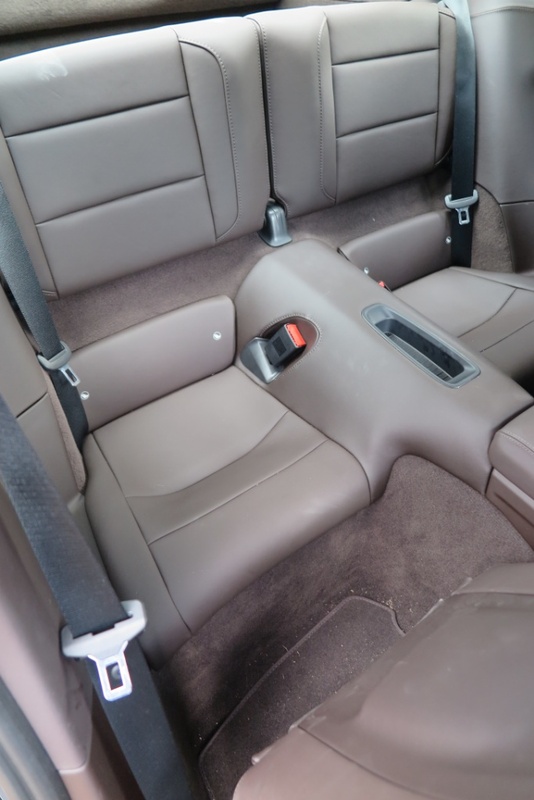 Sure, the backseats maybe accommodate those mysterious 'legless midgets' we automotive writers refer to; but if you shuffled the front seats forward, you may get some shorter adults back there - for a short trip to a Gelati Messina bar. As far as 'luggage' is concerned, then just plan for a dirty weekend, carrying a fresh pair of knickers, and a wet pack. 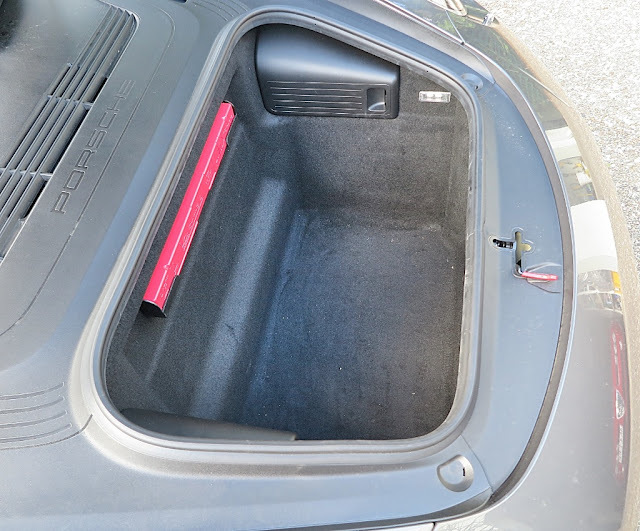 There's a 'bin' up front that may hold about 300 litres of 'stuff', but don't count on carrying for a six week Grand Tour! Mind you, these are not critiscms - just realistic reporting on the facts. You'll be having so much fun behind the wheel, you won't care. 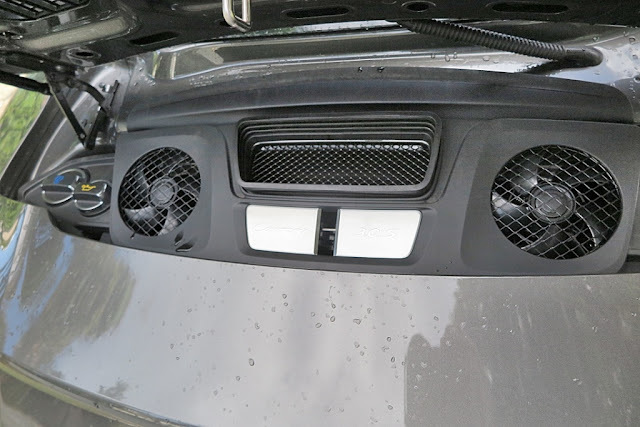 This is AUD$259,000 well-invested. 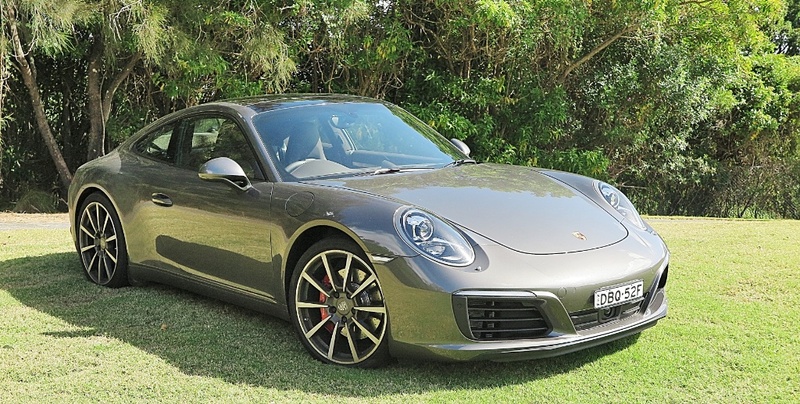 I'm told that this car is a 'mid-life facelift' and there's a new Type 992 coming in 2018, and it's brand new. I'd be more than happy to have someone's cast-off 991.2, thanks! 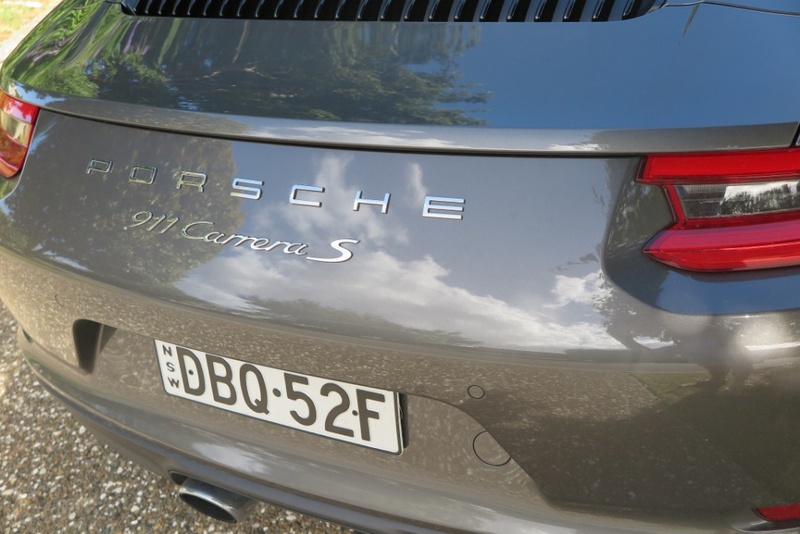 You can't go back once you've tried a Porsche. But of course, not every wallet can actually afford one of these too. You'll need a bit more than a good car financing plan in order to drive one of these babies home for yourself!